Professor Fausto J. Pinto was given the International Service Award 2019 by the American College of Cardiology (ACC), in honour of his professional contributions in the cardiovascular area. Fausto Pinto will be given the award during the ACC Convocation, Inauguration and Awards Ceremony, which is taking place on 11th of March during the 60th Annual Scientific Meeting of ACC, in New Orleans, USA. “The dedication of Dr. Pinto to improve cardiovascular health and medical care is the proof of his experience and professionalism” – says C. Michael Valentine, President of ACC. “For me, it is an honour to give him this Award and celebrate with him his tremendous contributions to the cardiovascular area”, he adds. The International Service Award is given every year to a member of the American College of Cardiology (ACC) who, through his extraordinary contributions to cardiovascular medicine, has significantly improved cardiovascular care in the whole world. It is the first time a Portuguese was awarded this prize. Targa della Cultura CardioLucca 2019″. 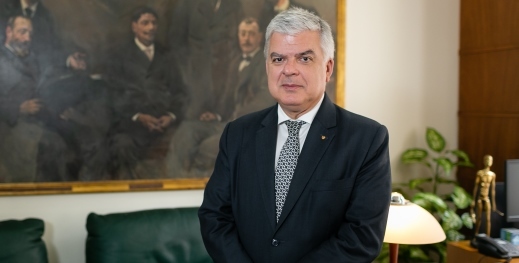 He was the Editor in Chief of the Portuguese Journal of Cardiology from 1999 to2015 publishing more than 600 indexed articles and/or presented over 1500 at national and international scientific meetings. His main areas of interest are ischemic heart disease, heart failure, cardiovascular imaging, particularly echocardiography and he pioneered the use of intravascular ultrasound in the study of graft atherosclerosis of transplanted heart.